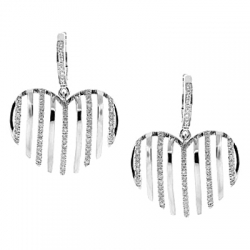 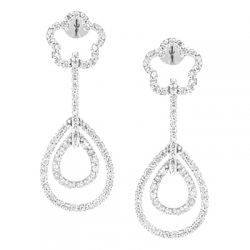 Our diamond drop earrings feature elegant layered design that will never go out of style! 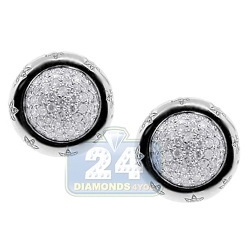 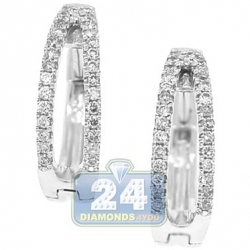 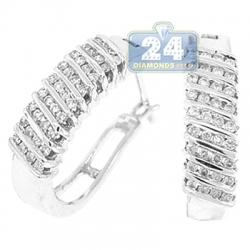 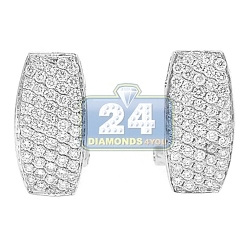 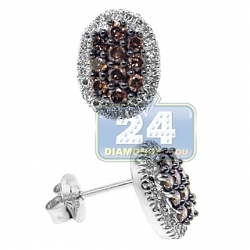 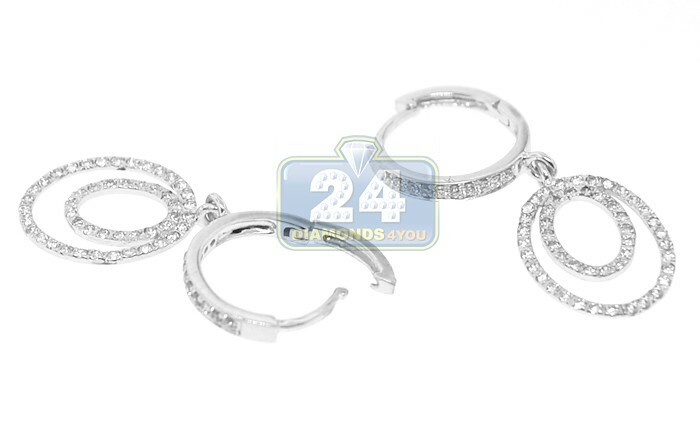 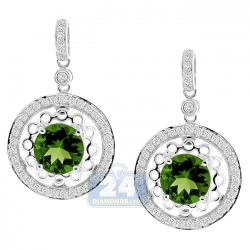 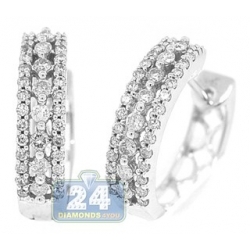 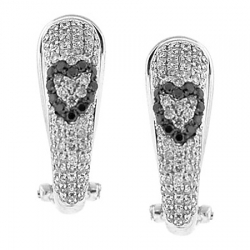 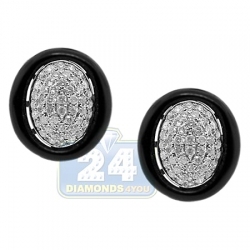 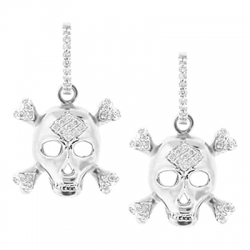 They're professionally made of cool 14k white gold with high-polished sparkling finish. 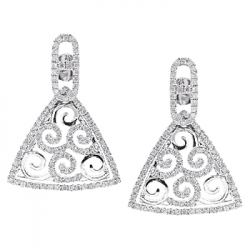 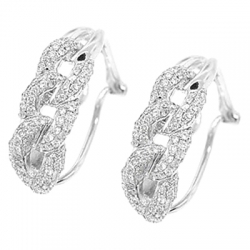 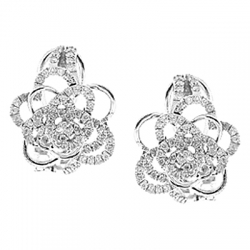 Our women's dangle earrings are amazed with 0.40 carat of icy white round brilliant-cut natural diamonds. 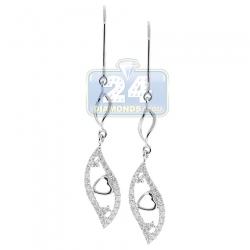 The pair measures 25 mm in hanging length and 10 mm in width. 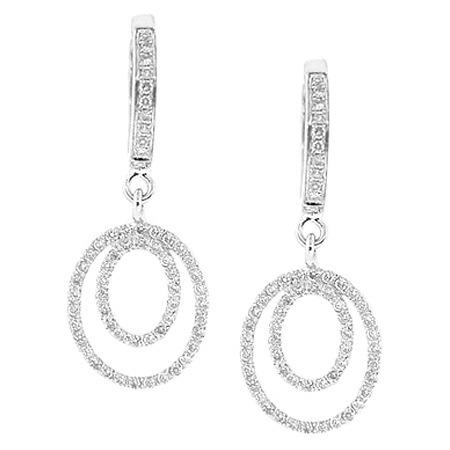 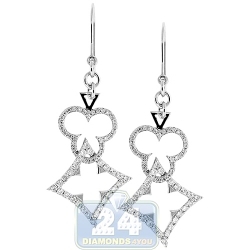 Wear these diamond layered earrings for any occasion!